Often good marketing requires TARGETING your ideal industry or niche – whether it’s accountants, lawyers, engineers, etc – or even the wealthy clients of the accountants, lawyers, engineers, etc. By finding and joining suitable associations, you get the opportunity to “hang out” with your target market. You can then find out their specific needs and wants, to further refine your offering. It’s one thing to measure your marketing results by numbers, but it’s much better to actually ask your market – what they like and dislike about your products and services, and about your marketing. It’s market research at its best. 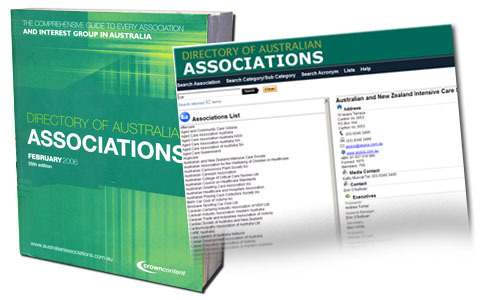 Check out the "Directory Of Australian Associations" by Crown Content.